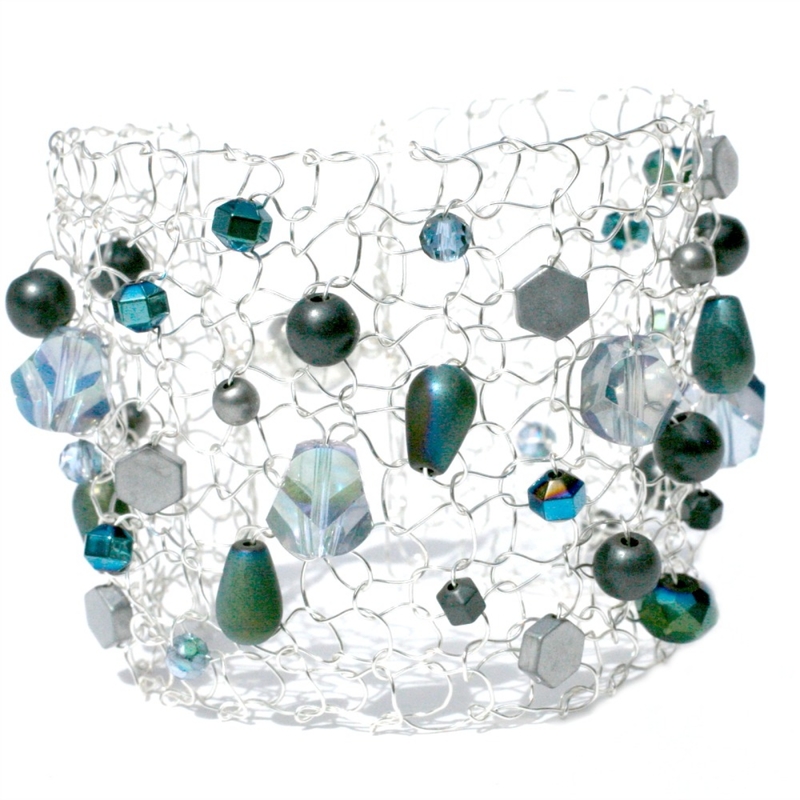 This gorgeous cuff is adorned with beads in ocean hues. Perfect for Summer; you can almost hear the sirens calling your name. 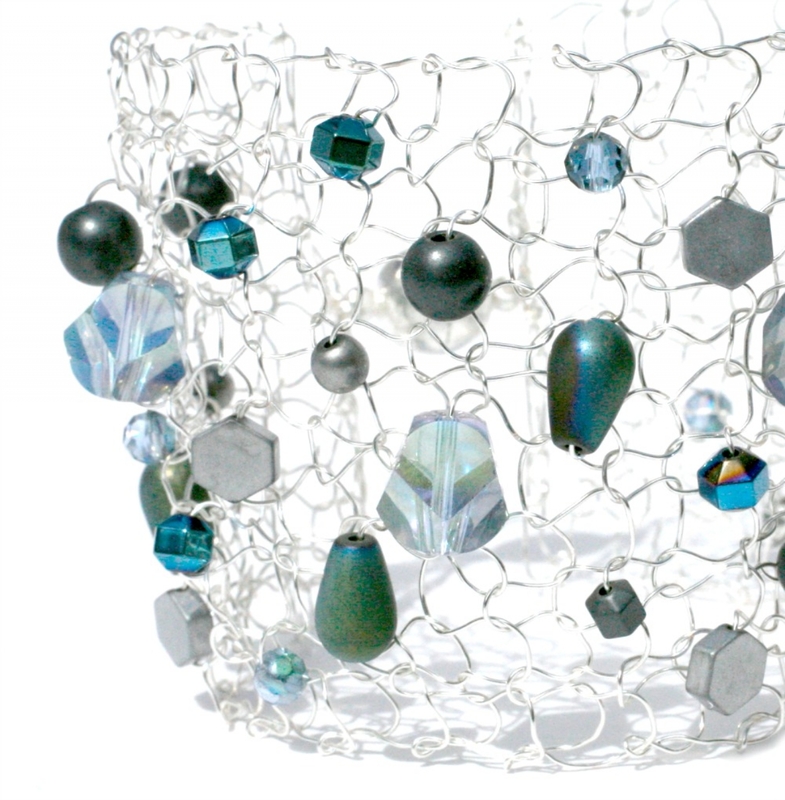 Fine silver plated wire is hand strung with geometric silver beads, teal metallic beads and sparkling crystals. They are expertly hand knit and each cuff is one of a kind. This cuff bracelet is sure to make a statment at 2" in width and will be custom knit to specified length. It fastens with a large magnetic clasp for convenience.